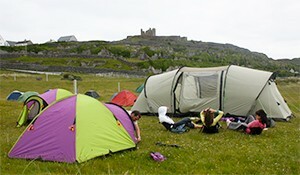 Due to various circumstances the Camp Site previously run and licenced to operate by Comhar Caomhan Teo, at Inis Oírr. Árann, Co. na Gaillimhe is no longer open or registered as a camping facility. The campsite is closed and please note that anyone camping here is doing so illegally and is trespassing and at their own risk.